Everything has risks. Knowing what those risks are and how to reduce them is the secret to success. When cooking outdoors, whether hot and fast grilling or low and slow barbecue, there are a few things you need to know to make sure nothing goes wrong. Combining explosive fuels with food, hot metals, and large groups of people can be a recipe for disaster if you are not careful. Of course, there is more to outdoor cooking safety than just the fire. 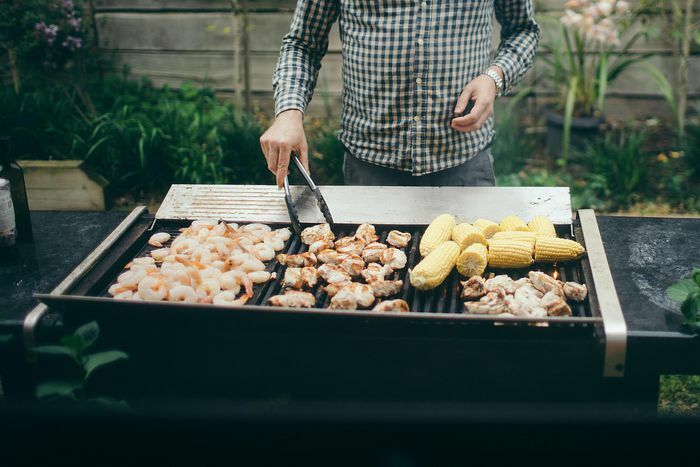 Follow these tips to keep your next barbecue party as safe as possible. Fire is the most destructive force in the universe and you are inviting it into your backyard for a little cookout. The first thing you need is a fire extinguisher. Second, you need to know your fire and know how to control it. Every year grills and smokers cause thousands of fires, hundreds of injuries, dozens of deaths and millions of dollars in damage. You need to know how to cut fuel supplies, extinguish fires and call the fire department. Always have one person in charge of the fire at all times. You should also know something about treating burns. Bacteria ​eat every kind of food you can think of, even Brussels sprouts. It grows at any temperature above freezing and stays alive until that temperature hits around 165 degrees F. Every second you give it between these two temperatures it is multiplying and causing disease in your food. So, until it goes into your mouth or on the grill, it needs to be kept cool. The second you are done serving it up, it goes back in the refrigerator. The basic rules are: Suspect Everything, Keep it Covered, Keep it Cool, Get it Hot!, and Use your Head. Remember you are more likely to get food poisoning than you are to get the flu. Please, read the manual. Follow all the safety restrictions to the letter. If you have a fire and you didn't follow the instructions it is your fault, no matter what. Grills, gas or charcoal, and smokers all have very specific ranges of operation. You need to know these before you light up. Don't assume that your new grill works just like the last one and that all the same rules apply. One hint: You can find the manuals to most grills and smokers on the manufacturer's website. Charcoal grills are the cause of far more fires than gas grills. The number one problem with charcoal grill is lighting the charcoal. Lighter fluid causes all kinds of problems and you should really find a better way to light your coals. What really burns the hair off your face is adding lighter fluid to hot coals. Lighter fluid turns to a heavy gas at a relatively low temperature. While liquid lighter fluid burns the evaporated (gaseous) lighter fluid explodes. Flow the instructions exactly and don't ever let lighting charcoal become a game. Smoke gets in your hair, clothes, eyes, and lungs. While a big part of the cookout experience is the smoke, you need to be careful with it. Smoke from your grill or smoker contains carbon monoxide, Polycyclic Aromatic Hydrocarbons (PAH), and other dangerous substances. PAH are ​cancer-causing substances that are formed when grease burns. 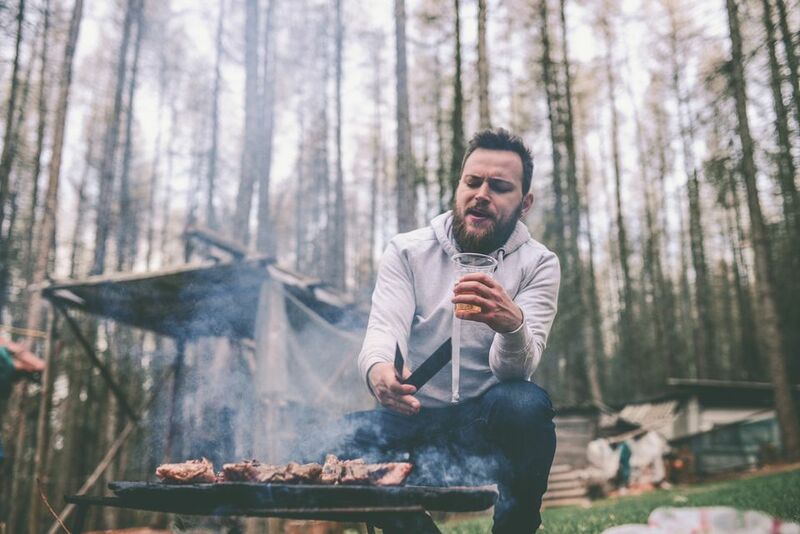 As much as we all love the smell of the smoke from outdoor cooking it is best to let it get away without breathing it in. So enjoy the smell from a distance. The number one cause of gas grill fires is an obstruction in the path of the fuel. This largely takes place, behind, underneath or inside your grill where you do not look. This means you need to regularly inspect your gas grill for problems. Bugs and other critters can climb into little places causing gas to flow where it shouldn't. At the first sign of problems turn off your control values, turn off the fuel tank, and disconnect everything. Gas grills produce a great deal of heat that can melt through hoses, knobs, and other parts. Assume everything is third-degree burn hot. Bad enough that you are using flammable materials to do your cooking, but the food itself is creating more. Flare-ups are more than a nuisance, they are potentially lethal. Grease that collects in your grill builds up over time. It is easy to get several pounds of grease in the bottom of your grill after only a few cookouts. This is why you need to keep your grill clean. A clean grill is a safer grill whether it is gas or charcoal. Also, smokers are not exempt from this problem. So no matter what you use, get the grease out. Location is everything when it comes to placing your grill or smoker. Every year hundreds of people cause fires to their houses, garages, and patios because they didn't put their grill or smoker in the correct location. Your manual (tip #3) will tell you the minimum distances around your unit that must be kept clear. Take a good look at your equipment and imagine the worst fire you can. Make sure there isn't anything (buildings, trees, etc.) in that space. Also, make sure that your grill isn't going to require people to walk too close to hot surfaces and that children won't be playing nearby. After reading the nine above you really shouldn't have to ask. Grilling and smoking require some clear thinking, especially when it's time to pull it all together. Please, keep a clear head and save that drink for after the fire is out and someone else is dealing with the dishes. Is Infrared Really the Secret to Better Grilling?